Crypto Currency, BitCoin, Blockchain, ALT coins, STOs, FUD, Exchanges, Modern Remittance, Cold Storage, black market, decentralization? I’m not a “crypto guy,” but I am a recognized innovator and champion of all things growth, positivity and of course, tech. Lets start with the full disclosure so you understand where this is coming from, I’m again, not a crypto genius, bitcoin millionaire or any of that, I never committed to it however I have been and doubled down on one thing…thats personal branding before it was a “thing.” Powered and ideated some incredible brands as it is a major area of focus to date. Being said, a majority of personal branding really comes down to one word, positioning. After befriending him online through another friend who had mentioned him vaguely on a call I began following him; I was very intrigued and saw a post on something I was talking about regarding the percentages of his work/lifestyle so I knew eventually I would earn his friendship and build it. 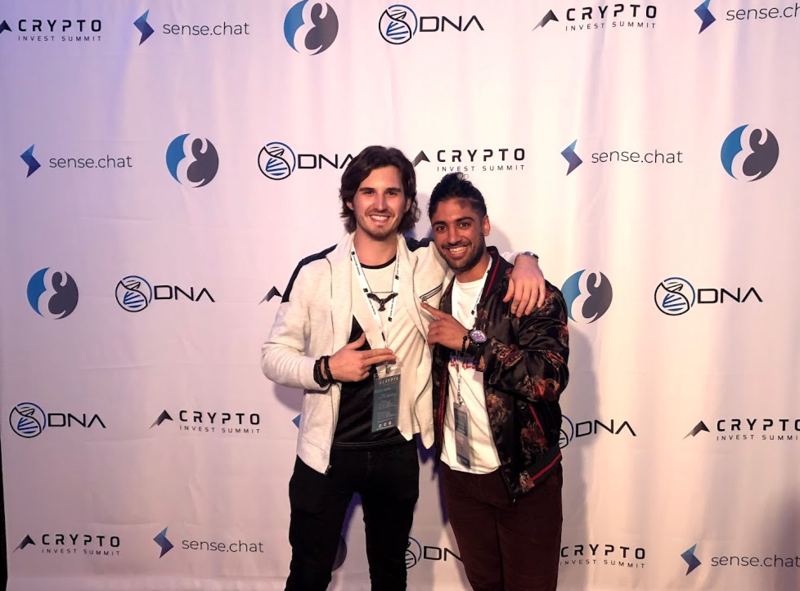 I followed him, saw a request and wanted to help and get this product he was pushing, he immediately responds, and I confirmed I really liked and trusted him; flash forward, I saw the market opportunity and fit with cryptocurrency and the blockchain leading up to seeing him build more and more interest; could it be he’s great at targeting, his production team, or the fact that I had a background in finance early stages of my continuously evolving story and career that Crypto was here to stay yet we needed, I mean NEEDED, the right champion for my generation. I hoped and prayed he would commit and become “that guy.” Literally. Thats when I made my own prediction, not as a mere compliment for him, yet utilized him as a go-to young man to refer to for all things in the “crowdsourcing” space. I encouraged and knew man, he is the one to fill the gap we need today with regards to crypto, its got to be apart of his mission and only a matter of time! You have got to get and have someone to look to and learn from you truly not just know and like but trust! With tons many sources, I repeat tons, that is why this is so key here to have a foundation, any true tried and tested professional and/or expert in their space will agree and tell you it all comes back or down to, the Foundation. Not who you know but what you know and committed to knowing. Shoutout to all the great organizers, speakers and the homies at Everipedia, “ain’t no party like a crypto-party.” Take my word. Who knows, what I do know is it does not take much interaction to confirm what you know you know. Felix got Adventurous, he bet on himself and is a true adventurist in that respect committing to fill this gap and more importantly, opening opportunity for others which is what its all about. Felix has done that and is positioned as one of if not, the greatest teachers digitally today for all things Crypto. I myself as an entrepreneur, investor thats driven by social impact and so much more now can continue to refer and introduce his latest endeavor or project, amongst other courses I’ve even help ideate and craft! Again, if your asking me, the coach within me will always tell you to go back to the basics, or the “foundations.” If you know, me or seen an episode on it via a video rant I’ve recorded, the basics are so key to true sustainability and growth. There is no greater gift than then personal investments whether that be into yourself or those you care for and to inspire. This one here really is the gift that keeps on giving.